When traveling abroad, you expect to stick out of the crowd a little. Sure enough, I quickly realized that there weren’t many brown people in Ho Chi Minh! During my first day, I only saw one other dark skinned tourist. There were a few curious stares, but I didn’t encounter any negativity at all; everyone was very friendly and kind. A smile and a wave go a long way! One thing I did not expect was becoming a bit of a celebrity. This was the first place I’ve traveled where I was asked to be in photos with people, and it happened three times on my very first day in the country! I was taken aback when it happened the first time. However, it was a bunch of teenage girls, one of whom asked me very shyly if I’d be in their picture with them, so I figured why not. It wasn’t until the third time this happened when it dawned on me that I should get a photo on MY camera! This was a group of students from a nearby university. Afterwards they asked me a few questions about my trip and what I thought about Vietnam so far, and I asked them a few questions about university life. 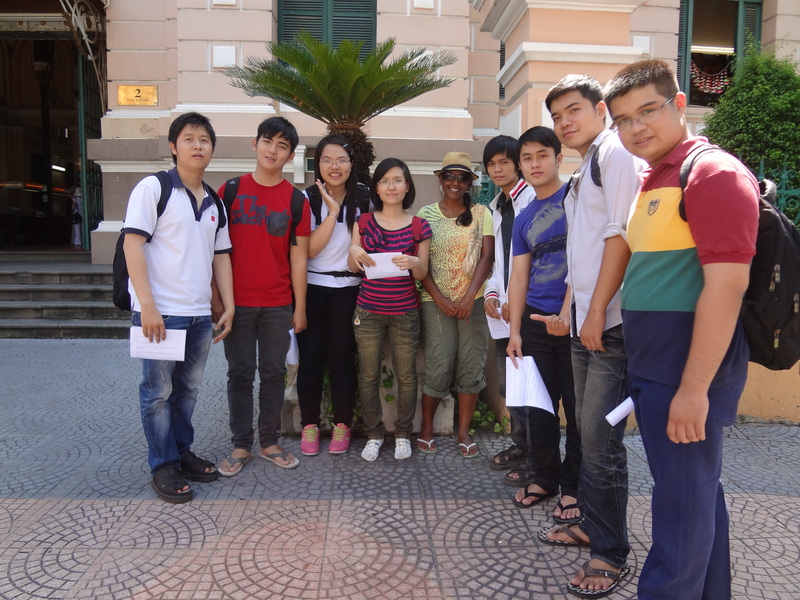 It was a great opportunity to get the locals’ perspective on life in HCM. Lessons learned: Be a little less guarded, and interact more instead of just being a passive traveler. And always make sure you look super-fresh because you never know who’s going to snap your photo! Such a funny experience, right?